An eyewear company that we have been following for awhile is Alexander Daas. We have really liked some of the innovative designs in the past, such as eye-cessorizing eyewear retainers. They just brought to our attention, this interesting tidbit of information about PD’s ) pupillary distance. The new Alexander Daas Fall ’12 San Francisco Collection is inspired by the neighborhoods of San Francisco. Each piece is designed to represent the colorful personality of each one. Funkier shapes represent the hipster style of Potrero Hill, while more conservative pieces are defined by the Marina. “I wanted to truly represent where I grew up – a city of culture and history, and the different design motifs in this collection illustrate that story and remind me that San Francisco is home to some of the most classic tastemakers,” says Alexander Daas. 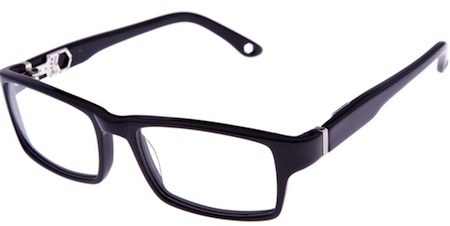 Alexander Daas Eyewear has been dawned by several celebrities such Jenny McCarthy, Ashley Judd, and Sammy Hagar. Model names in the new collection include: Castro, Fillmore, Hayes, Marina, Noe, Potrero, Seacliff and Soma.